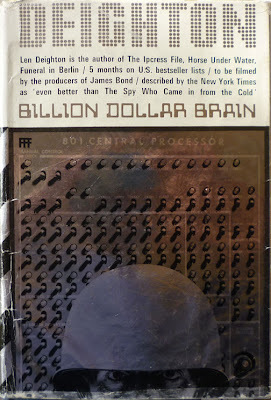 This is the UK hardback first edition/first impression of Billion-Dollar Brain, published by Jonathan Cape in 1966. I bought this copy at March's Lewes Book Fair – at which I also picked up Kingsley Amis's How's Your Glass? – paying what was a very reasonable price (decent first editions/first printings can set you back anything from £30 to around £100) given its condition (which I'll return to in a moment). As I mentioned in this post, it was a disappointing Book Fair from my perspective, and aside from the Amis this copy of Billion-Dollar Brain was about the only thing I saw there worth laying down money for. 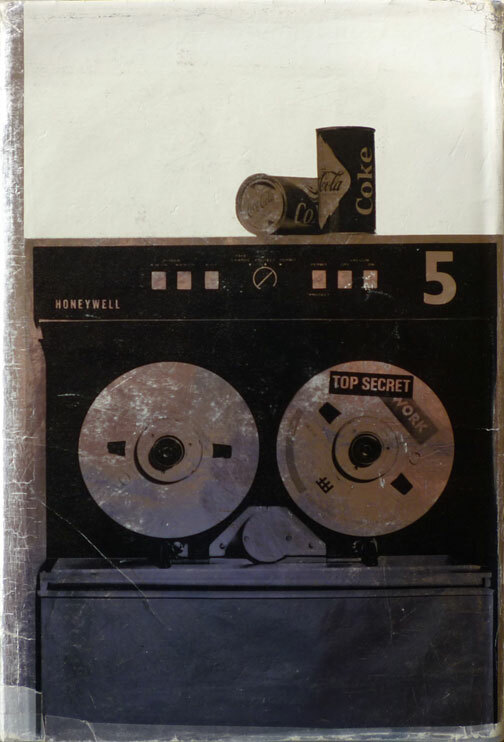 Billion-Dollar Brain is the fourth of Deighton's "Harry Palmer" novels, and as with An Expensive Place to Die, its dedicated page on the Deighton Dossier website is your best bet to read more about it. 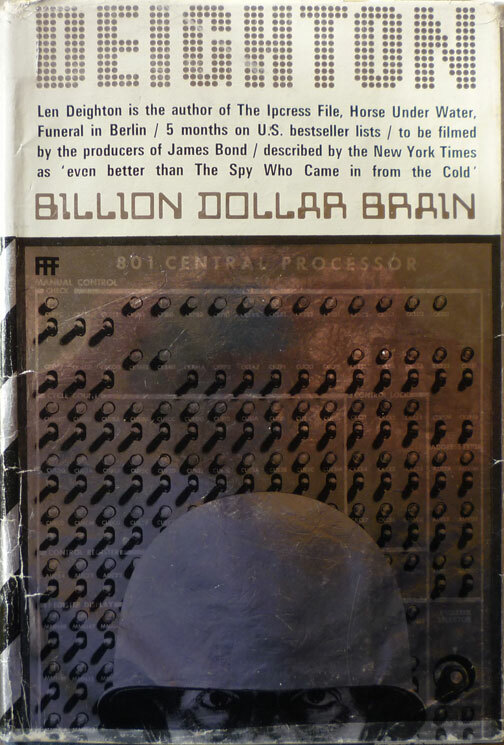 Once again the dustjacket was designed by Raymond Hawkey, but his jacket for Billion-Dollar Brain is remarkable for a couple of reasons. For one thing, while it is photographic in nature, it doesn't hew to Hawkey's standard approach of arranging props and objects in interesting configurations. Rather, it has a helmeted soldier in front of a computer bank, which was photographed at a Honeywell Data Centre. Honeywell was one of eight manufacturers of mainframe computers in the '50s, '60s and '70s, alongside the likes of Control Data, General Electric and especially IBM – the group was known as IBM and the Seven Dwarfs. So the computer banks you can see on the jacket are genuine equipment from that era. For another, there's the finish of the dustjacket. You might be able to make out the reflective nature of parts of jacket; that's actually silver foil stamp, picking out the author name, title and lower two-thirds of the cover. 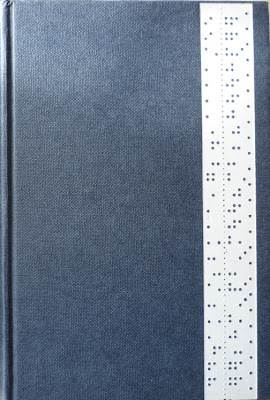 Jackets on the Cape first edition have been notoriously prone to wear and tear over the years: the thin paper stock tends to ripple, while the foil blocking often flakes. The jacket on my copy is typical in that it's a little battered, but the book itself is in pristine, seemingly unread, fine condition – about the best you'll ever see. 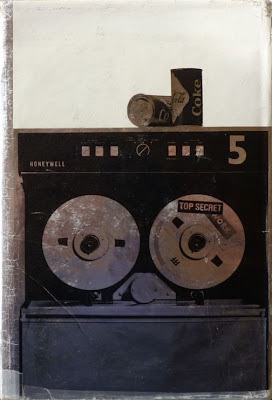 Incidentally, and as Rob Mallows points out in the Deighton Dossier's appraisal of the book, there's a slight discrepancy between the dustjacket and the book interior. 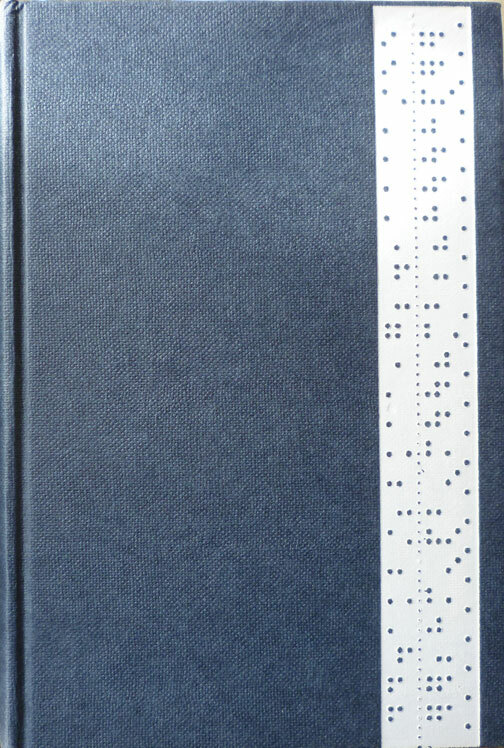 On the jacket there's no dash between "Billion" and "Dollar", but on the spine of the case and the title pages, there is. So the jacket in fact reflects the 1967 movie's version of the title, rather than the accepted literary version of it. Fascinating stuff, eh? On a momentous day like today, when Britain is poised to potentially alter its voting system, you can rely on Existential Ennui to bring you tedious bibliographic trivia from over forty years ago. 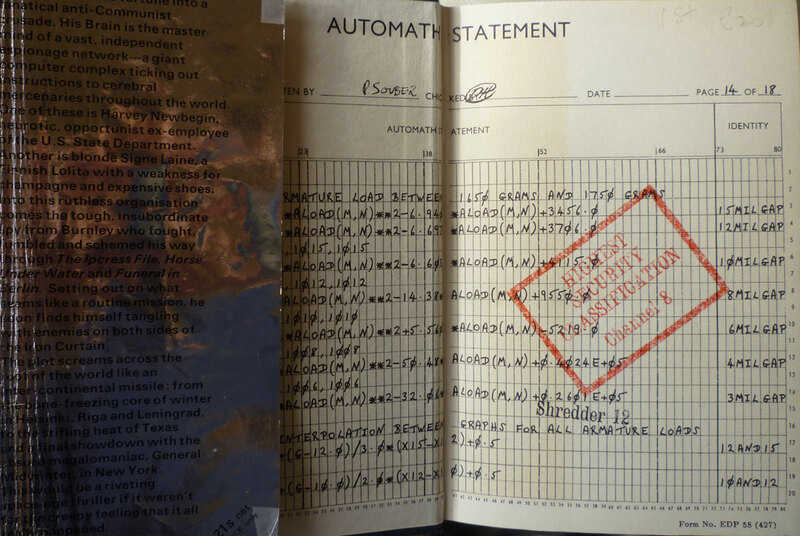 You know, the Honeywell data sheets on the endpapers of the novel are genuine. 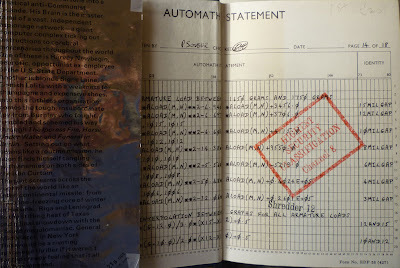 I was fortunate enough to have lunch with Len Deighton recently, and he confirmed that the endpapers are genuine. The photoshoot for the front cover was done at Honeywell's data centre in London (I think he mentioned Feltham). He, Hawkey and the photographer Ken Denyer did the shoot in a day in front of actual Honeywell computers, and the person in the helmet on the front cover is the photographer himself. At the end of the shoot, Hawkey grabbed from the bin anumber of data sheets that had been thrown away, and used them to create the end papers. I believe there was some protest from Honeywell that the data was confidential, but the design still went ahead. The technology for printing metallic jackets was still at the research phase in 1966, but Deighton and Hawkey were real pioneers of jacket design and pushed ahead with a jacket which looked great but, because of the newness of the process, did damage easily and the black and white ink didn't respond well to being handled. If you can get a F/F copy of the book cover, then you've got a rarity. I've enjoyed your postings - thanks for the heads up about my website. And thank you for the kind words, Rob. And for the additional info about An Expensive Place to Die and especially Billion-Dollar Brain – fascinating to read about the photo session for the jacket, and indeed the printing process!